house of lightness and glass. | owl's house london. house of lightness and glass. 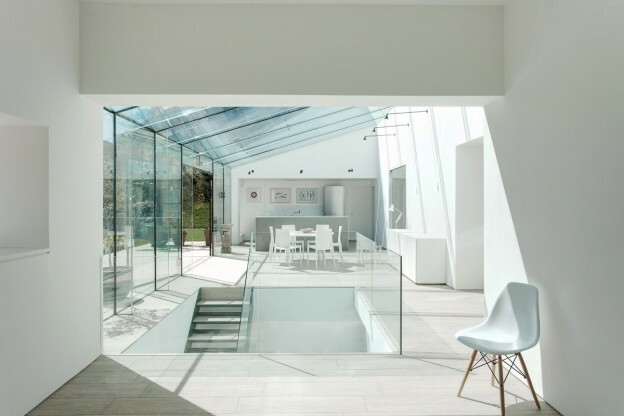 I love floor to ceiling glass, allowing the inside and outside to coexist, bringing light in and blurring the boundaries between outside and in. Glass boxes, however, where the glass forms two or three sides and a ceiling, can so easily feel cold and clinical. Perhaps it has much to do with the climate in this country, but I can’t think of anywhere I’d less rather be on a cold, grey day. This addition, however, feels like a place I would like to be. 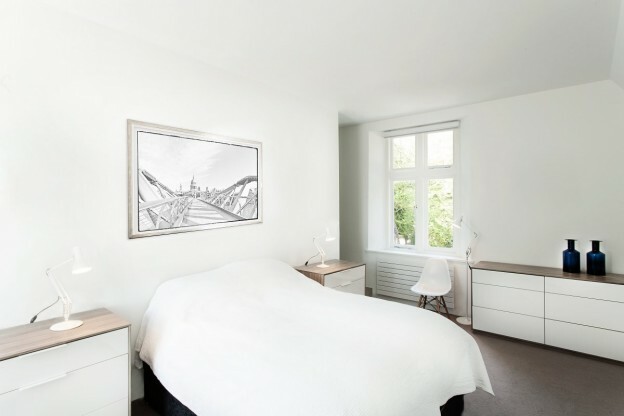 Perhaps it is the sculptural quality – not a box, but an architectural form with a raking roofline. Perhaps the interplay of solid white planes with the glass, or the double height space allowing the light to plunge through the volume. Contrasting against the darker, more formal spaces of the original house – lounge, study, dining room – are the lighter, informal areas of the new – the open plan kitchen and casual living. Vertical voids cut through the house to unite the cellar, ground and first floors, allow light to filter down gradually, creating beautiful shards of light and shadow. 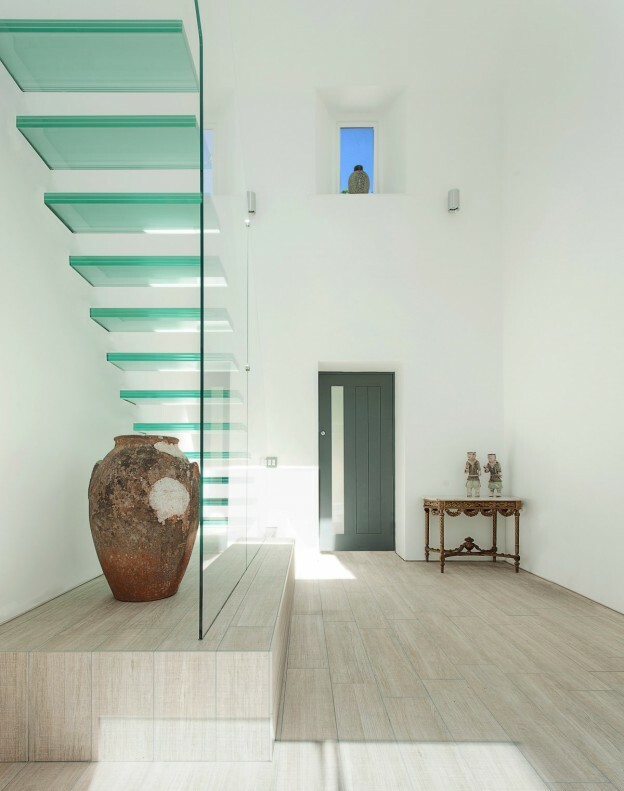 The joinery and furniture is kept simple and rectilinear, further emphasising the lightness of the space, with pale ceramic flooring (not timber, which would fade over time in the sunlight), and glass stair treads. This entry was posted in wonderful spaces. 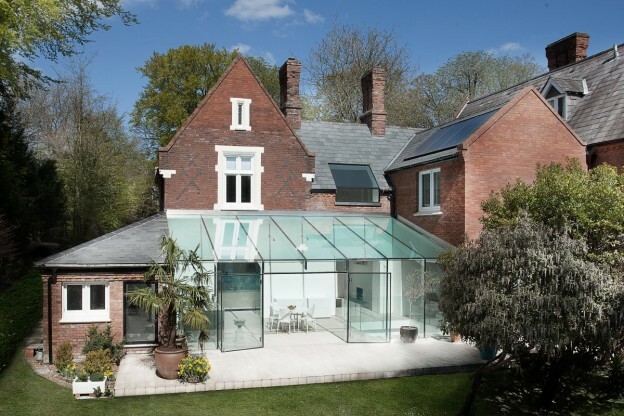 and tagged architecture, design, glass house on May 20, 2013 by owls house london..
What a beautiful house! I like that stairs have glass railing – it makes them more safer but at the same time keep the floating look – very clever! Absolutely love those glass stairs! !